A woman’s trip to China would change her life. Following her inner voice, Kehinde leaves behind her successful banking career in London for a new adventure in Beijing and suddenly finds herself alone in a foreign land with very limited abilities to communicate to those around her. This forces her to look for solace in the one place she has been avoiding her entire adult life: inside herself. Finally uncovering the truth about the sexual abuse she experienced during her childhood, she knows now that there is no going back to who she was before moving to China. Able to face the horror of her past and fight to heal it, she begins to unravel the core of her being and unleash her true nature. Inspired by the World Health Organization’s findings that estimate one hundred and fifty million girls and seventy-three million boys under the age of eighteen experienced sexual violence of varying degrees in the year 2002 alone, Komolafe selflessly shares her story. A raw, emotional tour de force that is bracingly honest and emotionally resonant, Komolafe’s memoir lets others suffering from the effects of childhood sexual abuse know that life can go on, and that what they experienced is in their past and their future is as bright as they care to make it. 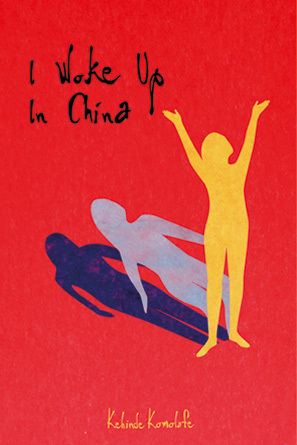 Both a brave accounting of personal healing and an adventurous travelogue, I Woke Up In China is an honest, searing, and inspirational story that offers a very real and balanced picture of what happens to the victim of sexual abuse.